When you invest in WiFi, it is natural to want the best possible signal throughout your house. Using a few simple tricks and products, you can boost your signal and get more for your money. What Electrical Work can I Safely do Myself? While performing basic electrical work is permitted under the 2010 Electrical Safety Regulations Act, doing so is not always wise. Knowing what you can and cannot do legally is only the start. Recognising your limitations ensures you do not cause harm to yourself or someone else. While good quality electrical fittings usually have a higher upfront cost than cheap alternatives, they can save you money in the long-term. From energy efficient light bulbs to accurate thermostats, there are multiple ways to cut the costs of living in your house. LED lighting is becoming a popular feature in homes across New Zealand, with great aesthetic and financial benefits. While these products cost more than their counterparts, the long-term savings you make are well worth the upfront exchanges. 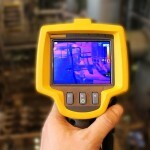 Thermal imaging is growing increasingly popular amongst electricians who inspect industrial systems and equipment. As well as providing a faster problem diagnosis, they can save you money in the long-term. 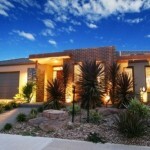 LED lighting is well known for its money saving benefits when it comes to reducing energy bills. 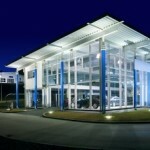 However, the energy efficiency of this commercial lighting solution does not end there. Thanks to their low toxicity and high durability, LED fittings come with other benefits too. Planning your garden lighting is about more than ensuring everything looks as attractive as you desire. There are some practical aspects to consider, and learning more about them can help make sure your lighting installation works as efficiently as possible. 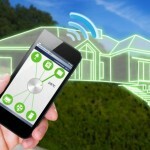 Home automation systems may seem like a luxury, but installing one can prepare your house for the future. From keeping your house secure to letting you control the environment, a home automation installation can make life more convenient and safe. 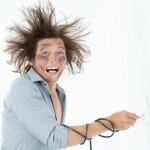 Rewiring your property can reduce the risk of fires, blown fuses, and electrocution. While many homes currently benefit from modern wiring, those that don’t carry a significant risk of adverse events. 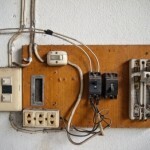 Knowing more about whether your home needs rewiring can keep your family safe. With the government successfully pushing for fibre optic cables across the country, it is becoming one of the most popular ways of accessing the Internet. 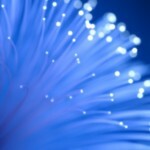 Switching over from your DSL connection can save you time and money, making life more convenient in the process.